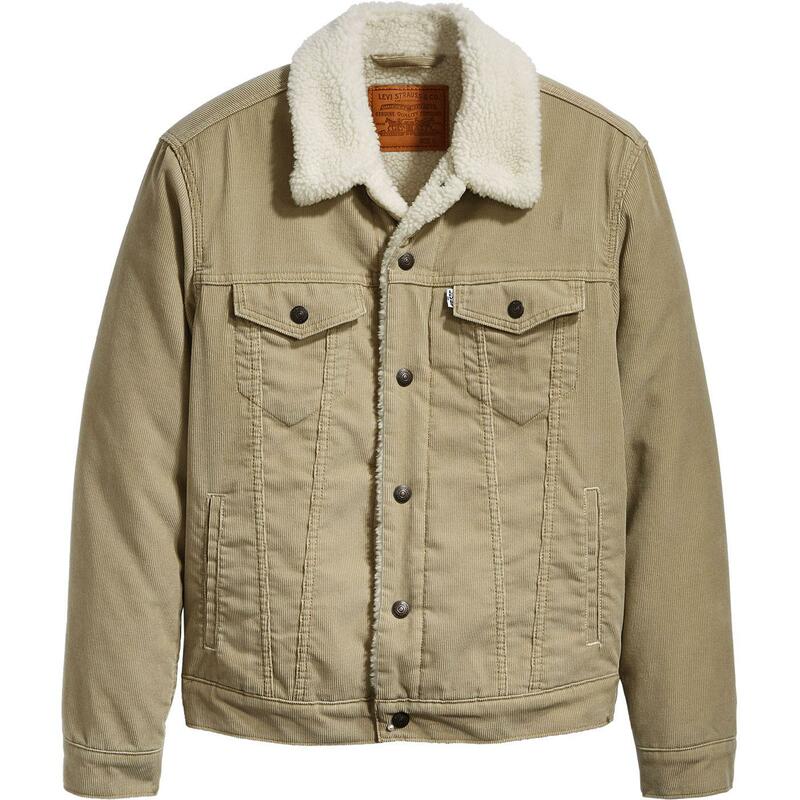 Levi's men's retro Type 3 cord sherpa trucker jacket in chino (fawn). 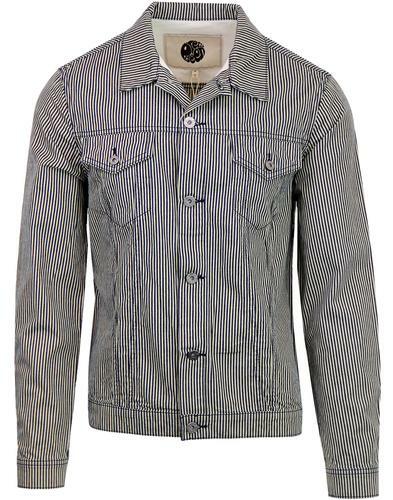 The original denim jacket since 1962, this cord trucker will keep you warm and stylish through the colder seasons! 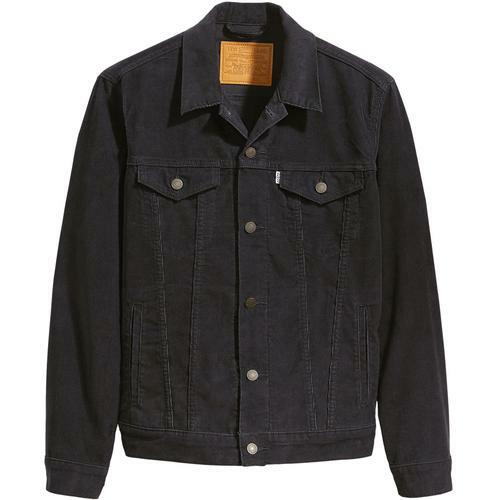 The Levi's Trucker was the first jacket to feature pointed flap pockets and also features iconic stitch detailing, 60s mod cream sherpa lined collar and cool rivet buttons. Over the years the trucker jacket has been developed and updated with a modern silhouette and practical pockets, however still keeping the classic authentic American heritage. The classic cord trucker jacket gets a fab Indie seasonal update with warm insulated Sherpa interior and collar. 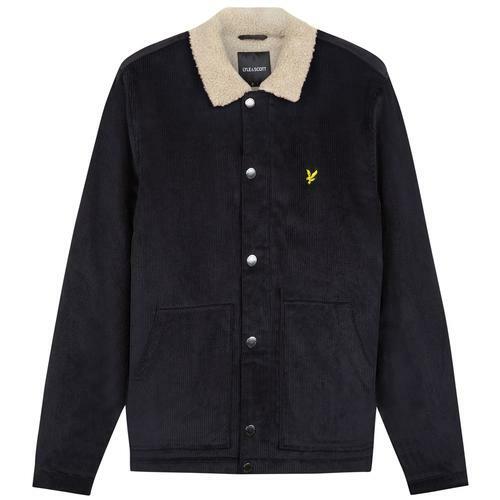 In classic cord fabric, the Levi's Type 3 Sherpa Cord Trucker Jacket is packed with sixties mod styling. 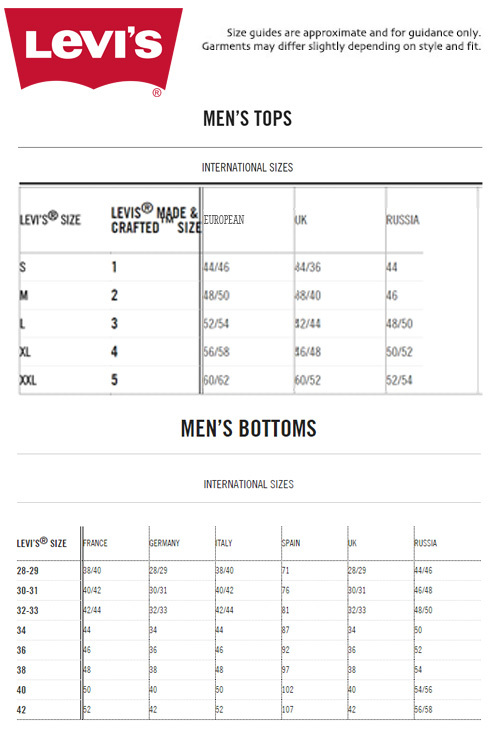 Designed for maximum mobility and comfort, the trucker jacket is Levi's® most universal jacket fit for men! Shades of Brando in 'On The Waterfront'! 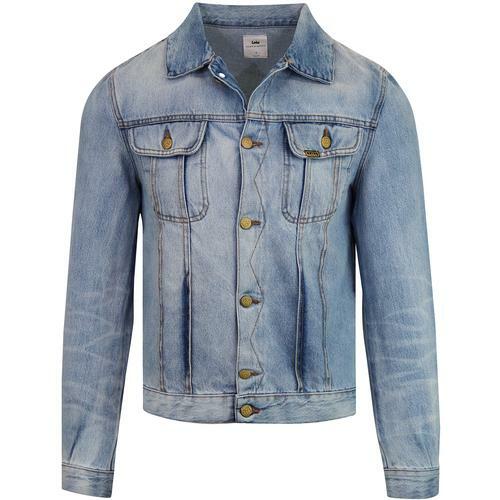 - Levi's men's mod Type 3 Cord Sherpa Trucker Jacket in chino.